Easy setup. There’s no reason to give someone a project for Christmas. 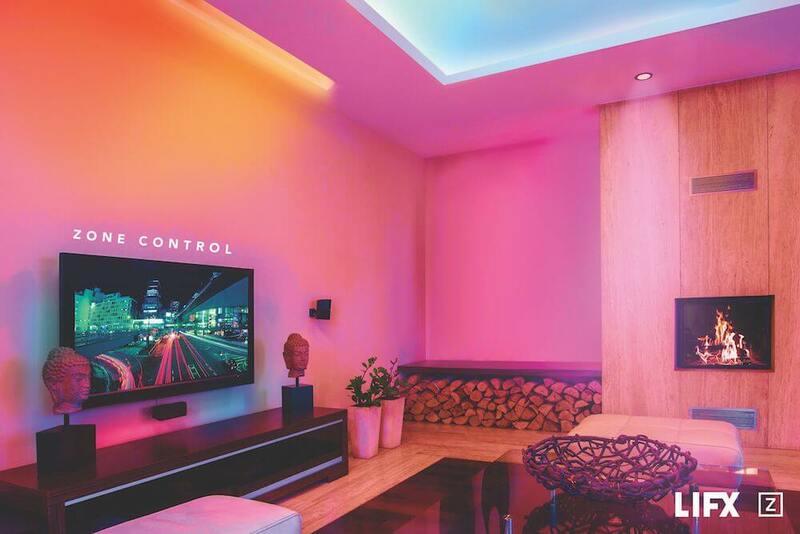 These smart home gadgets are known for straightforward installation. No monthly fees required. Giving a gift that requires monthly fees is like signing someone up for a membership without asking if they want it. The devices we listed do not need fees for reasonably using them day to day. High ratings on Amazon. These gifts have strong Amazon reviews, so you can count on them to be high quality. With one of these smart home holiday gifts unwrapped during the holiday season, you’ll quickly become known as the best gift giver in the family. Since some gadgets are more confusing to setup than others, we rated how easy it is to set up each product below. You may not want to purchase something that’s difficult to install if the person receiving the gift is not technical. 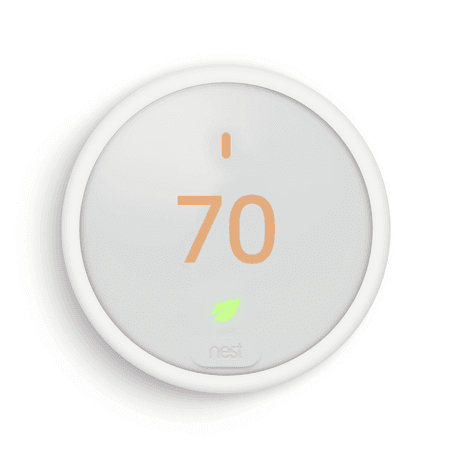 Perfect for: the smart home techie who has a basic thermostat and wants to take their home to the next level. Anyone who has been eyeing a smart thermostat (especially Nest) will be excited to open up this minimalist, highly connected gadget during the holidays. The thermostat gives users plenty of options for adjusting the temperature while away from home and automatically making tiny adjustments to save you hundreds on heating and cooling bills in the long run. Better yet: it doesn’t break the bank and is the most budget-friendly Nest yet. Perfect for: anyone who loves their yard, but hates their irrigation controller. Old school sprinkler controllers are super frustrating to use, but Rachio is on a mission to change that. 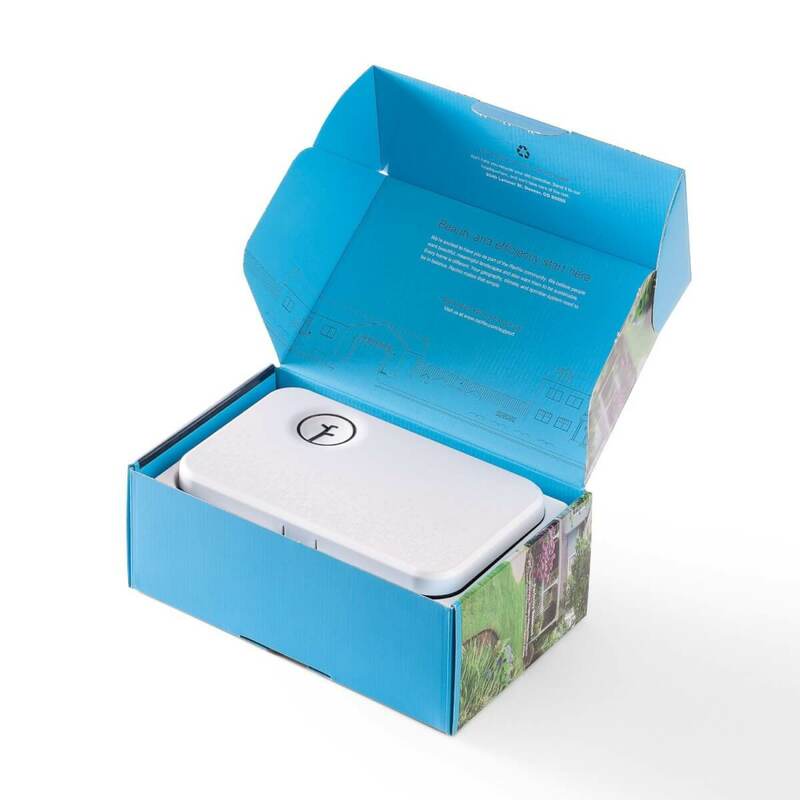 Their connected irrigation controller allows you to easily schedule watering the lawn within their app. If it rains, Rachio automatically delays watering, cutting your water bill and saving the environment. Perfect for: that friend who loses everything. 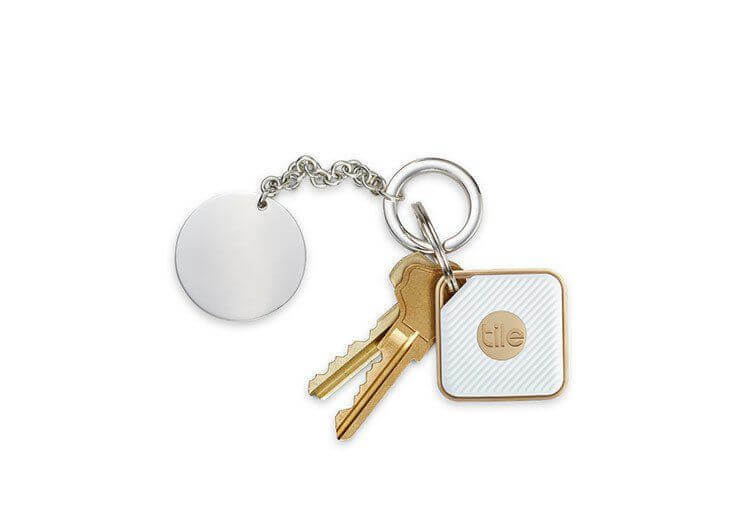 Tile is a small, square Bluetooth connected device that you can ring using your smart phone. Connect Tile to TV remotes, keys, purses, or even a pet, and when the beloved object is lost, you can use your phone to have it ring. Tile also works in reverse, so if you lose your phone, just hold down its button and it will call you. The other options include Trackr (which we compared with Tile here) and the new and improved Tile Sport and Style. Perfect for: making any small appliance smart. Plug in your fan, coffeemaker, lamp, and everything in between to control it with your smart phone. Set a schedule for devices, or connect them with Alexa for easy, inexpensive voice control. 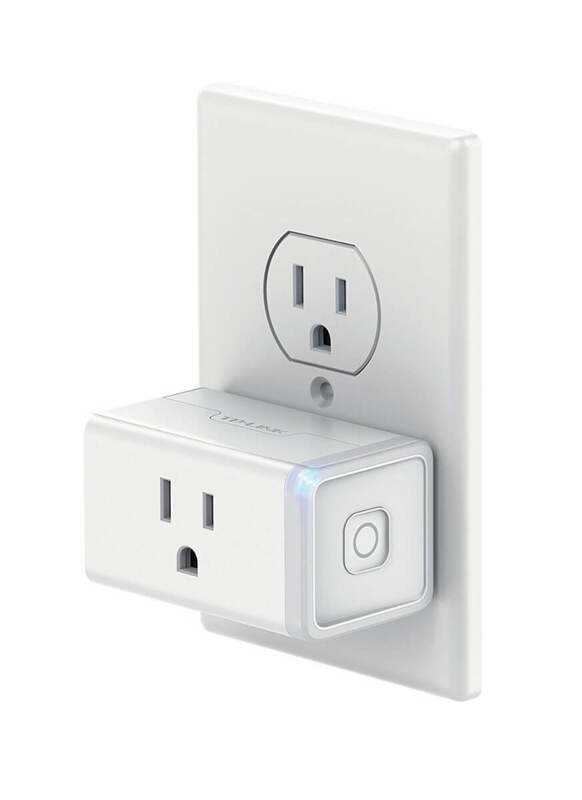 There are countless uses for this smart outlet, and whoever you give this gift to will probably purchase a second one after they realize its flexible features. Perfect for: the smart home newbie (or anyone else). 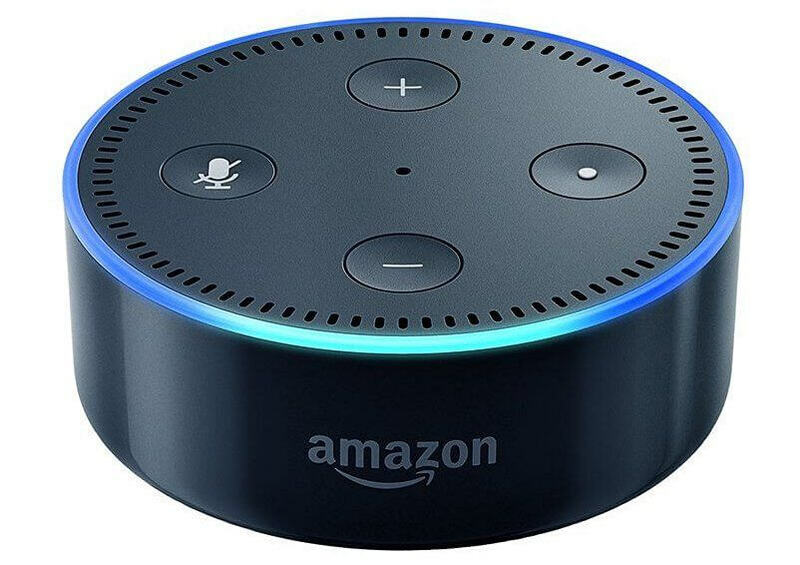 Echo Dot is easy to set up, affordable, useful, and just plain fun. With Alexa built in, the Dot answers questions, plays music, makes calls, controls smart home gadgets, and so much more. If it’s not loud enough for you, Dot can easily plug into external speakers or connect via Bluetooth: just say “Alexa, turn on Bluetooth.” For those who already own Amazon Echo, the Dot is a complimentary device for the bedroom, office, or anywhere else. You don’t need an Echo for the Dot to work, since it’s a standalone product. Perfect for: those who love awesome lighting. LIFX bulbs are super bright and have 16 million colors and 1,000 shades of white. They can slowly turn on every morning as an alarm clock, flash when someone rings your smart doorbell, or change colors with the weather. The lights are dimmable, customizable, and work with Alexa and Siri. It’s hard to think of anything bad about LIFX bulbs, which is why we chose them as our favorite when compared with Hue. 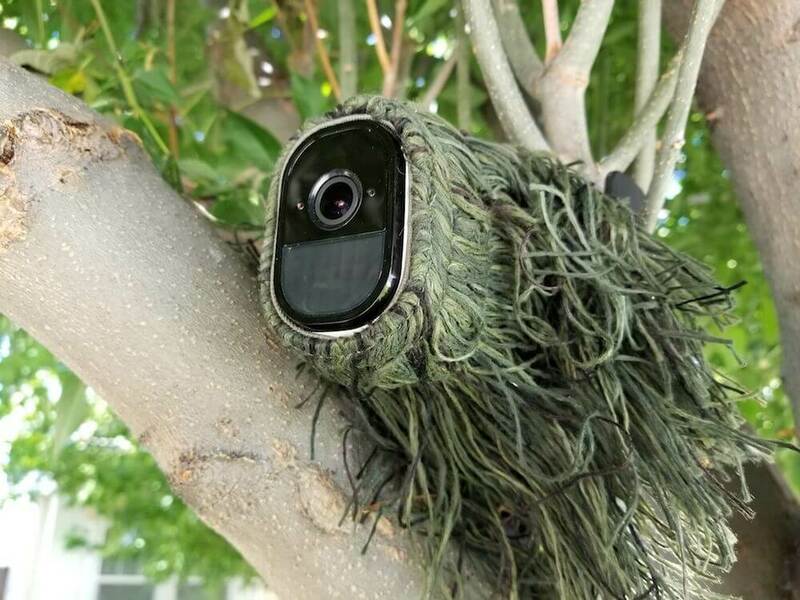 Perfect for: the security-minded family member who is always saying “we need to get a security camera!” and never gets around to it. High cloud subscription costs can scare people off from purchasing security cameras. However, Arlo Pro offers 7 days of continuous free cloud storage, which is more than any other WiFi camera. It works plugged in, with a battery, or using solar power, which means you can easily use it outdoors (oh, and it’s weatherproof). We seriously love this camera, and you can see more details in our full Arlo Pro review. Perfect for: any smart home enthusiast. 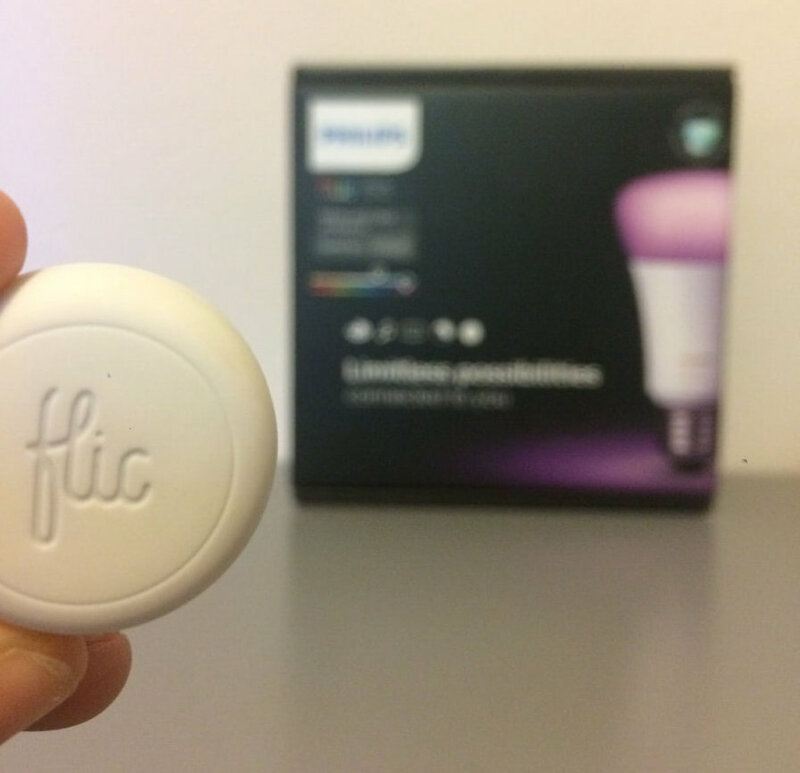 Whether you own Philips Hue, Wink, or LIFX, Flic is the ideal little smart button to control your home. With special commands for one click, two clicks, or a long press of the button, you can have three different functions programed for one button. Flic actions range from calling your phone if it’s lost, to taking a picture on your smart phone, to posting to Slack, and more. Perfect for: making any room look incredible. You know we love LIFX bulbs, but when it comes to our favorite smart home holiday gifts, LIFX Z strips are near the top of our list. That’s because they make every corner of your house look incredible. Above or underneath your kitchen cabinets, behind your TV, accenting a wall… the options are unlimited. 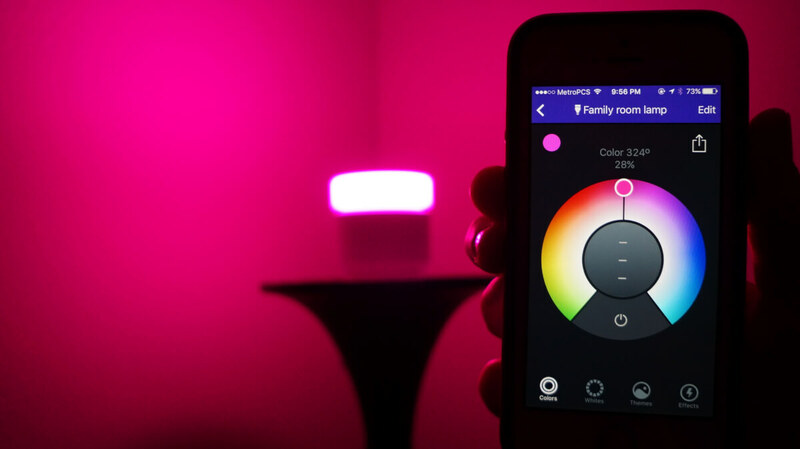 Peel and stick LIFX Z to install, and once it’s in place, you can “paint” the colors onto the strip within the app. There are also pre-set themes for holidays and mood lighting. Best of all, there’s no hub or other technology necessary for LIFX lights to work (unlike Hue). 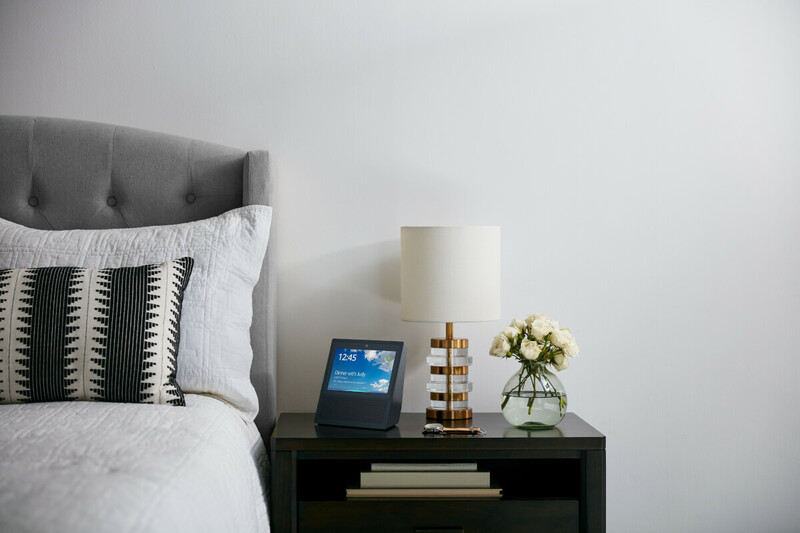 Perfect for: moms, dads, grandparents, kids, and everyone in between, Echo Show will be one of the big hits for the 2017 holiday season. That’s because it has all of the smarts of Alexa with a built-in screen to make her even easier to use. 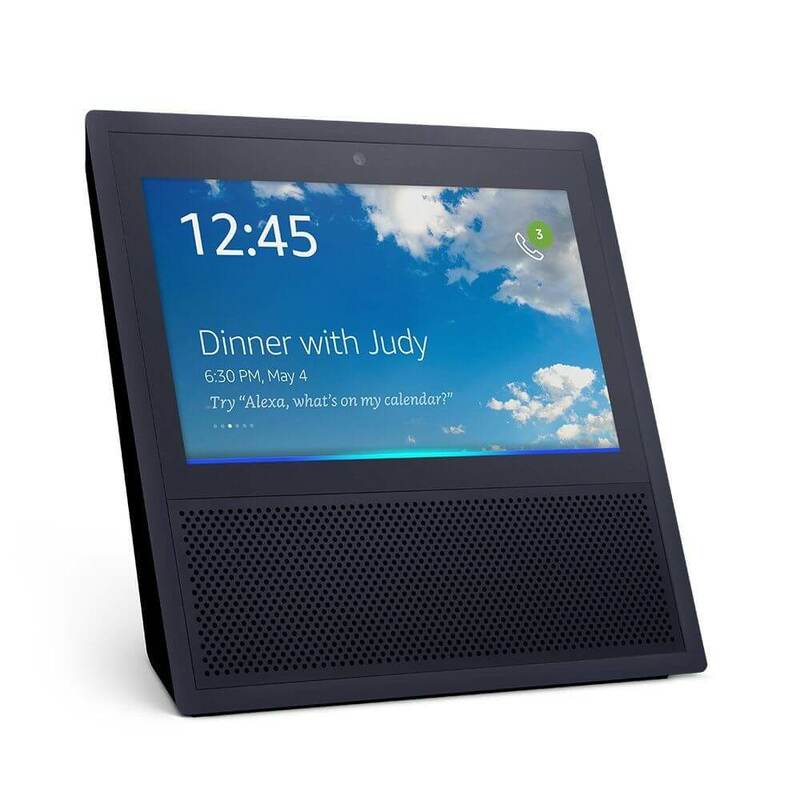 Call other family members with an Echo Show for a face-to-face call. Play music and have the lyrics scroll past. Stream footage from your Arlo cameras to check on the baby monitor or front porch. Echo Show is useful on so many levels that it’s a perfect gift for practically anyone. Well, there you have it! Hopefully from our favorites list you were able to discover one or two smart home holiday gifts that can score you points as the best gift giver of all time. This is the list of our favorite smart home holiday gifts, but there are actually many more options available. For a more complete list organized by pricing, check out our article 50 Smart Home Gift Ideas. What’s your favorite smart home gift that anyone will love? Let us know in the comments!